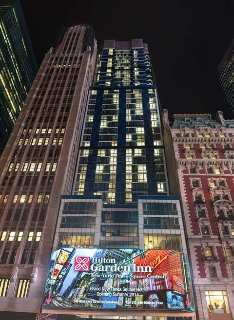 Situated in the heart of Times Square, the Hilton Garden Inn New York/Times Square Central is a brand-new, modern hotel set within the heart of Times Square on famous 42nd Street. 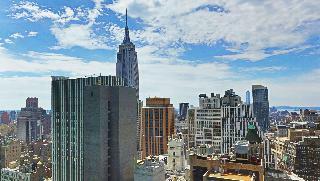 Located at 136 West 42nd Street (at Broadway), the hotel is surrounded by Broadway theaters and walking distance to New York City’s best attractions including Radio City Music Hall, Rockefeller Center, TKTS discount theater ticket booth, Madison Square Garden, Madame Tussaud’s Wax Museum, Restaurant Row, Bryant Park and much more. 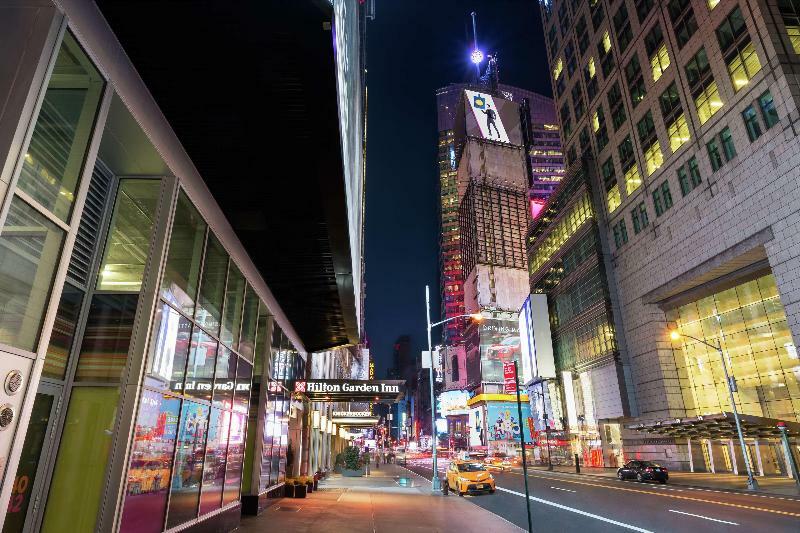 For the business traveler, the hotel is just a few blocks from Jacob Javits Convention Center and only steps from many Fortune 500 companies and corporate offices. Port Authority Bus Terminal, Penn Station, Grand Central Station, and the Port of New York/New York City Cruise Ship Terminal are all within walking distance or a short taxi ride. Guests will find all major public transportation (bus and subway lines) when they step outside the hotel entrance and all (3) area airports are easily accessible.The hotel features 282 brand-new guest rooms with one king, one queen or two double beds - each with 40-inch Samsung flat-screen HD television, refrigerator, microwave, coffeemaker and alarm clock with MP3 connectivity. Business amenities include a spacious workstation with adjustable lighting and Herman Miller ergonomic chair, in-room security safe and complimentary WiFi with secure remote printing to the hotel’s business center using PrinterOn®. Each guestroom features a comfortable bed with adjustable firmness, plush bedding, upscale linens and refreshing bath products. 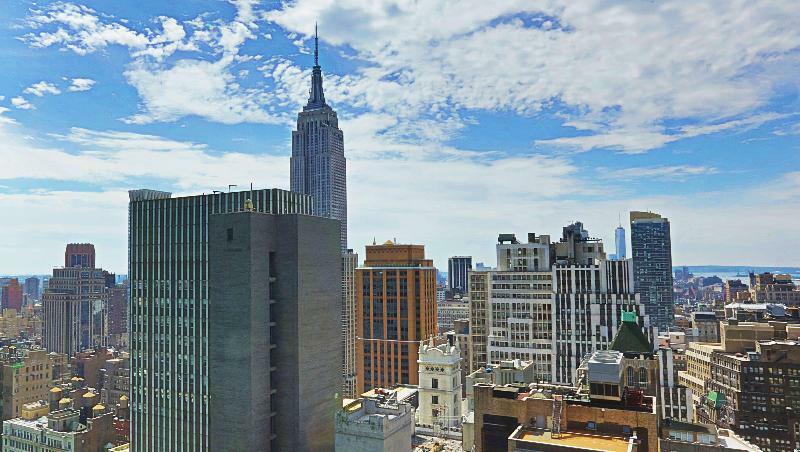 Guestrooms feature floor to ceiling windows and some rooms include fabulous views of the Manhattan skyline or views of Times Square (where guests will be able to see the New Year’s Eve festivities and midnight ball drop).